There are several individual factfiles for National runners elsewhere on my blog (see factfile tag at foot of this post). But all 40 runners are covered in this PDF, kindly provided by Racenews – just click the link below to read it or download it. Good luck to you and to all jockeys and horses in the world’s greatest race. As an Unfuwain half-brother to the 1999 Derby fourth Housemaster, Always Waining (born on April 9, 2001, was bred to be a useful Flat performer but it has been over the big fences at Aintree that he has enjoyed his finest moments, becoming the first horse to win John Smith’s Topham Chase three times – 2010, 2011 & 2012. The 12-year-old sold for 9,000 guineas as a yearling and won three times on the level with Yorkshire-based trainer Mark Johnston, at one stage achieving a decent rating of 96. He was claimed by trainer Pat Clinton for £30,000 for the current owners after winning a Newmarket claiming race in October, 2004 and won three hurdle races that winter. He moved to trainer Robert Stronge in early 2006, before joining Peter Bowen a year later, and the following season yielded a victory in a Bangor handicap hurdle and, sent chasing in the 2006/07 campaigned he scored three times. His next victory came at Aintree in June, 2008, in a three mile, one furlong, handicap hurdle and he kept going that summer and won a Listed handicap chase at Market Rasen in September. He finished fourth in the 2009 John Smith’s Topham Chase and after falling in the Grand Sefton Handicap Chase, also over the Grand National fences, in November, 2009, he prevailed in the 2010 John Smith’s Topham Chase, scoring by 12 lengths from Scotsirish. After missing the cut in the 2011 John Smith’s Grand National, Always Waining won the John Smith’s Topham Chase again, finishing four lengths in front of Mon Parrain. He finished a distant fourth in the Betfred Becher Handicap Chase, another race over the big Aintree fences, in December, 2011, and once again saved his best form until the spring as he recorded an unprecedented third victory in the John Smith’s Topham Chase in April, 2012, with Tom O’Brien up for the second consecutive year. He started the current campaign with a well-beaten seventh in a veterans’ handicap chase at Doncaster on February 20 and put in a similarly uninspiring run in a Chepstow handicap hurdle on very soft ground on March 9. 24. Always Waining prefers good going. Peter Douglas, 61, and his wife Linda boast a racehorse ownership career spanning more than two decades with one of his early flagbearers being Salwan, a useful novice hurdler ridden by Robert Stronge, who at one stage trained Always Waining. Their early trainers also included Peter Bevan, Bill Clay, Jenny Pitman and Andy Streeter. Peter Douglas, based near Uttoxeter in Staffordshire, is founder of the PJD Group (1985). The company, based at Castle Donington near Derby, has developed from his Peter J Douglas Engineering business into one of Britain’s leading independent mechanical engineering companies with some 250 employees. Douglas is a longstanding supporter at his local racecourse, Uttoxeter and sponsored a day in June that included a beginners’ chase run in Always Waining’s honour. The PJD Group also sponsors gymnast Sam Oldham, who was part of the Great Britain team that won a bronze medal at the London 2012 Olympic Games. Born on June 9, 1958, Peter Bowen is married to Karen and has three sons, Michael (who began riding in point-to-points in April, 2012 on Iron Man), Sean and James. The son of a haulier and a village postmistress, Bowen trains at Letterston near Haverfordwest in Pembrokeshire, Wales, and took out his first trainer’s licence in 1995, having previously been a livery yard proprietor and hugely successful point-to-point handler. His wife was a successful rider in point-to-points and under Rules. Bowen’s first winner under Rules came on October 9, 1995 at Sedgefield with Iffeee. He won the Elite Hurdle at Wincanton the following November with Dreams End and the same horse took the Kingwell Hurdle at the Somerset course in February, 1997. A big race hat-trick was completed by Dreams End in the Swinton Handicap Hurdle at Haydock later in the same year. Another horse that he did well with early in his training career was Iffeee, whom he saddled to win the Durham National at Sedgefield in 1996. The 1996/1997 campaign saw Bowen set a modern-day record with Stately Home, winner of 10 races that season including the Grade One Scilly Isles Novices’ Chase at Sandown Park. 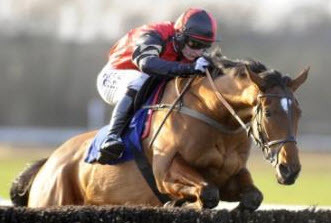 He captured the Badger Ales Handicap Chase at Wincanton in both 2002 and 2003 with Swansea Bay and the same horse won the Edward Hanmer Memorial Chase at Haydock, also in 2003. His stable stars have included Take The Stand and Ballycassidy. The former was second to Kicking King in the Cheltenham Gold Cup in 2005 and finished fifth in the 2006 renewal, the highest placing by a British-trained horse. Ballycassidy, a winner of 15 races who ran in the John Smith’s Grand National three times and showed up well on the second and third occasions before being found out. Bowen had his highest-ever number of winners in the 2006/2007 season, with 72 successes, including Dunbrody Millar in the John Smith’s Topham Chase, a race Bowen also captured in 2001 with Gower Slave and memorably with Always Waining in 2010, 2011, 2012. Bowen has also enjoyed Grade One success with Snoopy Loopy in the 2008 Betfair Chase and with Souffleur in the 2007 Challow Hurdle. He went close to John Smith’s Grand National success in 2007 when McKelvey was the three quarters of a length runner-up to Silver Birch. Colbert Station, born on April 15, 2004, was sold as a foal at Tattersalls Ireland in November 2004 for 7,200 euros. He was third behind fellow John Smith’s Grand National aspirant Across The Bay on his debut in a Fairyhouse maiden hurdle in January, 2009. He had six mores starts over hurdles before winning a handicap hurdle at Punchestown in December, 2009, he scored comfortably under A P McCoy at Leopardstown in January, 2010. After creditable efforts in handicap hurdles at the Fairyhouse and Punchestown spring festivals, Colbert Station was not seen again until December, 2011, when lining up in a three-mile novices’ chase at Punchestown. He ran respectably to come home fourth and improved for that run to land an extended two-mile beginners chase at Leopardstown in January, 2010, before rounding off the season with a third-placed finish behind Leanne in a competitive handicap chase at Leopardstown in March. The nine-year-old was fifth behind the classy Hidden Cyclone on his comeback this season in a chase at Gowran Park on November 24, before chasing home Roi Du Mee in a three-mile handicap hurdle at Navan on December 8. He returned to fences at Leopardstown over Christmas with an emphatic five and a half length victory in the hugely competitive Paddy Power Handicap Chase over three miles and completed his preparation for Aintree with a decisive two-length success in a three-mile handicap hurdle at the same course on February 3. Few people have enjoyed a closer association with jump racing in the last 30 years than John Patrick ’J P’ McManus, who was born on a farm in Co Limerick on March 10, 1951 and attended the Christian Brothers school on Sexton Street, Limerick. He left his father’s plant hire business at the age of 20 to become a racecourse bookmaker, but then took the less well-trodden route of gamekeeper-turned-poacher to be a professional punter. McManus recalls one of his first bets as being on Merryman II in the 1960 Grand National when he was just nine, but the bet that changed his life was £4 on Linden Tree in a Newmarket maiden in 1970, the horse winning at 100/8. He had another £4 on when Linden Tree won the Observer Gold Cup at 25/1, and £5 each-way at 33/1 for the Derby, when the horse beat all bar Mill Reef. The amount he wagered grew rapidly and he is still one of the highest-staking punters on the racecourse. Dubbed “the Sundance Kid” by journalist Hugh McIlvanney after a number of major gambles in the ring during the 1970s, he is also the biggest jump owner in terms of numbers in Britain, Ireland and France (some 300 horses spread over 50 trainers ran for him last season) after he purchased his first racehorse, Cill Dara, at the age of 26. He has a host of business interests including dealing on the financial markets from his Geneva, Switzerland base and part-ownership of the Sandy Lane Hotel in Barbados, where he also has a house. With John Magnier, he bought a 28.7% stake in Manchester United through the Cubic Expression company before subsequently selling out to US tycoon Malcolm Glazer in 2005. He was in the news shortly after that because of his stake in the pub and restaurant operator Mitchells and Butler. In 2012, the Sunday Times estimated McManus’ wealth at £471 million, making him the 14th richest person in Ireland. Since Mister Donovan landed the William Hill Supreme Novices’ Hurdle in 1982, he has enjoyed 38 other Cheltenham Festival successes, headed by the great three-time Champion Hurdle hero Istabraq. In 2010, he won a fourth Champion Hurdle with Binocular, while the 2012 Festival yielded five more successes headed by Synchronised’s gutsy success in the Betfred Cheltenham Gold Cup, but he had to wait to final day this year before gaining two successes. McManus does a lot of work for charity and his Pro-Am golf tournament, which takes place every five years and has raised over 95 million euros. McManus is also a keen backgammon player and a big hurling fan. Born on April 14, 1950, at Fermoy in Co Cork and now based at Greenhills near Naas in Co Kildare, Ted Walsh is a racehorse trainer, journalist and broadcaster with rTe and Channel 4. His father, Ruby, had a public house and kept a livery stable in Fermoy. In 1954 the Walsh family relocated to the United States, but came back to Ireland less than two years later and Ruby rented a yard at Chapelizod, Co Dublin. The Walshs later moved to a farm in Kill, Co Kildare, which Ted has now extended to 60 acres. Walsh was Irish champion amateur jockey on 11 occasions, and rode four Cheltenham Festival winners, including the 1979 Queen Mother Champion Chase on Hilly Way. Commanche Court, who Walsh selected, purchased and trained for owner Dermot Desmond, won the 1997 Triumph Hurdle and completed an amazing double for Walsh in 2000 when winning the Irish National at Fairyhouse 16 days after Papillon landed the John Smith’s Grand National at Aintree. Both horses were partnered by Walsh’s son Ruby, while another of his children Katie is also a successful jockey with two Cheltenham Festival wins to her name. 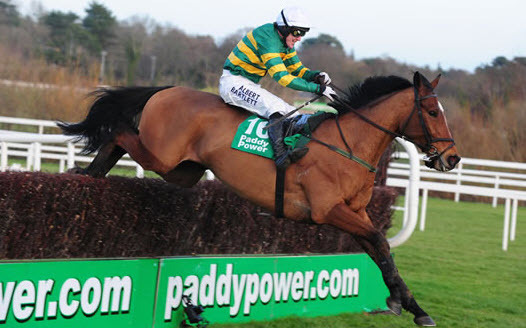 Forpadydeplasterer, born on May 10, 2002, owes his name to Bertie Ahern, the former Irish prime minister who is also an associate of the gelding’s part-owner Charlie Chawke. Two of Ahern’s closest friends shared the same name, Paddy Reilly, so one was referred to as “Paddy the Plasterer”. When racing was abandoned at Leopardstown in March, 2007, a group of friends had lunch at The Goat pub instead and decided to buy a racehorse and name it Forpadydeplasterer in honour of Ahern and Reilly’s financial transactions. Brian Cooper, one of those present at The Goat, asked his brother Tom to find an unnamed horse that he would train for the syndicate. Cooper sourced a Moscow Society gelding, who made a winning start to his career in a Galway bumper in October, 2007. 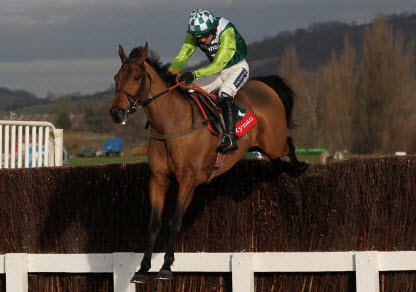 A highly progressive season over hurdles followed as Forpadydeplasterer captured the Grade One Deloitte Novice Hurdle at Leopardstown in February, 2008, and finished fourth in the Neptune Investment Management Novices’ Hurdle at the Cheltenham Festival. 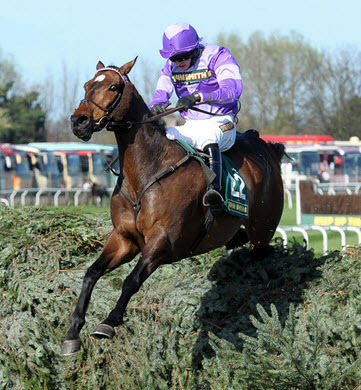 He was sent chasing for the 2008/2009 campaign and was runner-up in the Drinmore Novice Chase, the Irish Arkle Novice Chase and the Dr P J Moriarty Novice Chase before gaining a deserved Grade One success in the Racing Post Arkle at the 2009 Cheltenham Festival. A frustrating run followed as Forpadydeplaster finished second on next seven starts, including five Grade One contests – the Swordlestown Cup Novice Chase, the Tingle Creek Chase, the Queen Mother Champion Chase, the John Smith’s Melling Chase and the Punchestown Champion Chase. Connections stepped him up to three miles for the King George VI Chase at Kempton Park in January, 2011, but he was pulled up behind Long Run, and he continued to run well in defeat throughout the following season, including when finishing sixth in the Ryanair Chase at Cheltenham in March, 2012, and fourth in the John Smith’s Melling Chase the following month. The current campaign started in a similar vein, with Forpadydeplasterer chasing home Sizing Europe in the Grade Two PWC Champion Chase at Gowran Park in October. Following a first run on the Flat at Galway and a disappointing effort in the Paddy Power Gold Cup at Cheltenham, Forpadydeplasterer won his first race for three and a half years with victory in a three-mile chase at Thurles on November 29. He subsequently came home last of five in the Grade One Paddy Power Dial-A-Bet Chase at Leopardstown’s Christmas meeting and was third in a two and a half mile chase at Clonmel on February 7. Forpadydeplasterer warmed up for Aintree with a rare foray over hurdles, coming home sixth at Leopardstown on March 3. Charlie Chawke heads the 20-strong syndicate that owns Forpadydeplasterer. Chawke owns a chain of eight pubs contained within the Chawke Group, some of which are co-owned by Senator Eddie Bohan – The Oval, The Dropping Well, The Bank, The Goat, The Lord Lucan, The Old Orchard, Aunty Lena’s and Bill Chawke’s Bar. In 2005, Chawke paid the highest price ever paid for a pub in Ireland – €22 million – for the Orchard in Rathfarnham on the outskirts of Dublin. He was also a member of the Drumaville Consortium that purchased Sunderland football club in 2006 and sold the premier league team to Ellis Short in 2009. Chawke had a leg amputated after being shot in a robbery in October, 2003. The syndicate is named after one of Chawke’s pubs, The Goat in Goatstown, near Leopardstown, and 10 of the group are known as the Piano Gang because “they are really mad guys – they get barred from the pub every weekend and reinstated every Monday”. 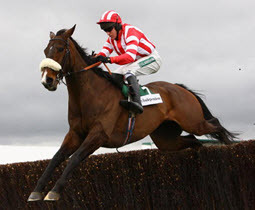 Forpadydeplasterer is the only horse to have raced for the syndicate, whose colours are based on the red and white of Sunderland, but the horse has proven to be a real star for the syndicate, winning Leopardstown’s Deloitte Novice Hurdle and the Racing Post Arkle Chase at the Cheltenham Festival in 2009. The father of up and coming jockey Bryan, Tom Cooper initially trained as a dentist and he still divides his time between training and running his dental laboratory in Tralee, County Kerry. Born on January 3, 1965, He started out training under a permit in 1994 before taking out a full licence in 1998. He saddled his first winner at his local course Tralee on June 2, 1997, as Flying In The Gale captured a handicap hurdle. The mare proved to be an early standard bearer for Cooper, winning five times in all, while Diamond Melody and talented dual-code performer Galileo Strike also advertised Cooper’s ability to train winners. His first real star was Total Enjoyment, who scored in the 2004 Weatherbys Champion Bumper at the Cheltenham Festival. Cooper enjoyed further Grade One success with Forpadydeplasterer, who captured the Deloitte Novice Hurdle at Leopardstown in February, 2008, before giving the trainer a second Cheltenham Festival win in the Racing Post Arkle Chase. His most recent stable star has been Lucky William, successful in the Grade One Ryanair Novice Chase at the 2012 Punchestown Festival. Despite not saddling any runners at the Cheltenham Festival in 2013, quietly spoken Cooper still had a meeting to remember as his son Bryan recorded his first three wins at the fixture on Benefficient (Jewson Novices’ Chase), Our Conor (JCB Triumph Hurdle) and Ted Veale (Vincent O’Brien County Handicap Hurdle). Join Together, born on March 16, 2005, started his career in Ireland under the care of Liam Burke, a good friend of part-owners Paul and Marianne Barber. After winning a maiden point-to-point at Inch in March, 2010, the son of Old Vic was transferred to the powerful stable of British champion trainer Paul Nicholls, for whom he finished third on his debut under Rules in an Exeter novices’ hurdle in November of the same year. He filled the runner-up spot in a three-mile Grade Two novices’ hurdle at Cheltenham’s International meeting a month later before registering a straightforward success over the same distance at Chepstow in February, 2011. Join Together lined up in the Albert Bartlett Novices’ Hurdle at the 2011 Cheltenham Festival but failed to land a blow and was pulled up behind future Betfred Cheltenham Gold Cup winner Bobs Worth. Sent chasing for the 2011/2012 campaign, Join Together made an inauspicious start over the larger obstacles at Chepstow in October, 2011, as he fell five fences from home. He made amends on his next outing at The Open at Cheltenham the following month, when he got the better of future Welsh National runner-up Teaforthree in an extended three-mile novices’ chase. Join Together followed up with another impressive success at Cheltenham in December, 2011, but he again failed to make an impact at The Festival in 2012, as he was pulled up behind Bobs Worth, this time in the RSA Chase. He ended the season with a better effort at Aintree’s John Smith’s Grand National meeting, coming home third behind stable companion Silviniaco Conti in the John Smith’s Mildmay Novices’ Chase. Join Together has made three appearances in valuable staying handicap chases so far this term, starting with an unlucky seventh in the United House Gold Cup at Ascot in November, in which he was hampered three fences out. He enjoyed his first taste of the Grand National fences in the Betfred Becher Handicap Chase at Aintree on December 8, as he stayed on strongly to go down by a neck to Hello Bud in the three and a quarter mile contest. Paul Barber’s family have farmed near Ditcheat since the 1830s and he oversees a 2,000-strong dairy herd on 3,000 acres, having started with 150 cows on 150 acres, which now produce 45 tonnes of cheese daily for Barbers and Maryland Farmhouse Cheese, run by Paul’s brother Nicholas. Paul – who has been allergic to cheese since the age of five – was born on December 31, 1942, on the kitchen table in the house where he still lives, stating “I’ve never thought about living elsewhere” and despite no family involvement with racing, has been an owner since his purchase in 1958 of a horse that cost £450 and had to be paid for instalments. He has never owned a Flat horse and his first winner was Crazy Slave, who scored in 1963, and his main flagbearers have been the 2008 Cheltenham Gold Cup winner Denman (owned with Maggie Findlay) and the 1999 scorer See More Business. He paid £82,000 for Denman and refuses to pay over the odds for a horse after being stung when making a couple of expensive purchases following See More Business’s success. Others to carry his colours include See More Indians, who won eight races out of 14, and the John Thorne-trained Artifice. Barber owns Nicholls’s Manor Farm Stables, initially converted from a cow shed, and his house overlooked Denman’s stable. Many of his best performers have had an initial grounding in point-to-points, either with Liam Burke in Ireland or Barber’s brother Richard – who has trained four Festival winners – at Seaborough in Dorset. Ian Fogg, 66, became an owner after moving to Ditcheat with wife Wendy in 2010. He is involved with six horses with Nicholls and owns the winning point-to-pointer Scotch Dry And Ice, a 175,000 euros store horse purchase, with Richard Barber. He founded the Vacancy Management Company in 2001 and is the managing director of the business, which is a pharmaceutical and health care recruitment and contract employment company. He previously built up the RDL Group between 1989 and 1997 to have 650 employees before selling the company to American interests. Lost Glory, born on September 4, 2005, is bidding to become the fourth New Zealand-bred horse to win the John Smith’s Grand National following Moifaa (1904), Seagram (1991) and Lord Gyllene (1997). He was one of eight Montjeu yearlings purchased by his owner J P McManus at the 2007 Karaka Yearling Sales and made his debut for Jonjo O’Neill in an Ascot bumper in November, 2009, in which he finished 10th. Lost Glory, who cost NZ$200,000, subsequently made seven appearances over hurdles, with his best effort over the smaller obstacles being a third in a novices’ contest at Kempton Park in March, 2010 behind the talented Captain Chris. He made a winning debut over fences at Southwell in June, 2011, beating the quirky but talented Marodima, but failed to build on that success in two subsequent outings in handicap company at Uttoxeter and Worcester. Lost Glory gained a second victory over fences at Ffos Las in August, 2011, and followed up with a nose success in a handicap hurdle at Huntingdon two months later. He made just one more appearance during the 2011/2012 season, finishing a well-beaten second in a Stratford handicap chase in October, 2011, as connections decided to keep him for better ground. Lost Glory geared up for a summer jumping campaign by coming home down the field in a Towcester handicap hurdle in May, 2012, and showed the benefit of that outing when scoring in handicap company on his next two starts – over hurdles at Uttoxeter in June and over fences at Southwell the following month. After failing to get competitive at Ffos Las in August, Lost Glory returned to the winner’s enclosure with a facile win in a Stratford handicap chase at the end of September. He posted a career best effort on his most recent appearance to capture a valuable handicap chase at Chepstow on October 13, after which he was given a well-earned break. Few people have enjoyed a closer association with jump racing in the last 30 years than John Patrick ’J P’ McManus, who was born on a farm in Co Limerick on March 10, 1951 and attended the Christian Brothers school on Sexton Street, Limerick. He left his father’s plant hire business at the age of 20 to become a racecourse bookmaker, but then took the less well-trodden route of gamekeeper-turned-poacher to be a professional punter. McManus recalls one of his first bets as being on Merryman II in the 1960 Grand National when he was just nine, but the bet that changed his life was £4 on Linden Tree in a Newmarket maiden in 1970, the horse winning at 100/8. He had another £4 on when Linden Tree won the Observer Gold Cup at 25/1, and £5 each-way at 33/1 for the Derby, when the horse beat all bar Mill Reef. The amount he wagered grew rapidly and he is still one of the highest-staking punters on the racecourse. Dubbed “the Sundance Kid” by journalist Hugh Mcllvanney after a number of major gambles in the ring during the 1970s, he is also the biggest jump owner in terms of numbers in Britain, Ireland and France (some 300 horses spread over 50 trainers ran for him last season) after he purchased his first racehorse, Cill Dara, at the age of 26. He has a host of business interests including dealing on the financial markets from his Geneva, Switzerland base and part-ownership of the Sandy Lane Hotel in Barbados, where he also has a house. With John Magnier, he bought a 28.7% stake in Manchester United through the Cubic Expression company before subsequently selling out to US tycoon Malcolm Glazer in 2005. He was in the news shortly after that because of his stake in the pub and restaurant operator Mitchells and Butler. In 2012, the Sunday Times estimated McManus’ wealth at £471 million, making him the 14th richest person in Ireland. Since Mister Donovan landed the William Hill Supreme Novices’ Hurdle in 1982, he has enjoyed 38 other Cheltenham Festival successes, headed by the great three-time Champion Hurdle hero Istabraq. In 2010, he won a fourth Champion Hurdle with Binocular, while the 2012 Festival yielded five more successes headed by Synchronised’s gutsy success in the Betfred Cheltenham Gold Cup, but he had to wait to final day this year before gaining two successes. McManus does a lot of work for charity and his Pro-Am golf tournament, which takes place every five years and has raised over 95 million euros. McManus is also a keen backgammon player and a big hurling fan. Jonjo O’Neill (born April 13, 1952) was a highly successful jump jockey and has established himself at the top of the training ranks. In spite of an appalling list of injuries, he was champion jockey twice (1977/78 and 1979/80), and he set a then record for a season of 149 winners in his first championship year. The most sensational moment of his riding career came when he won the Cheltenham Gold Cup on Dawn Run in 1986 as the mare became the only horse to win that trophy after having previously taken the Champion Hurdle (1984), again with O’Neill in the saddle. He also won the Gold Cup on Alverton in 1979, though he had a dreadful record in the Grand National, in which he never completed the course in spite of having eight rides. He retired from the saddle at the end of the 1985/86 season and, having survived lymphatic cancer not long after that, started training near Penrith, Cumbria, in 1987. He forged a reputation with horses such as Vicario Di Bray, winner of the 1989 Champion Hurdle Trial at Haydock, and Legal Right, who landed the Grade Three Tripleprint Gold Cup at Cheltenham in 1999 and went on to capture the BGC Silver Cup at Ascot as well as the Grade Two Tommy Whittle Chase. He moved to his present base at Jackdaws Castle in Gloucestershire, not far from Cheltenham, when the yard was bought by owner J P McManus in 2001. In 2010, he finally broke his Grand National duck when saddling Don’t Push It to victory for McManus, who had been trying to win the race since 1982. A P (Tony) McCoy rode the gelding, gaining a first success at the 15th attempt. 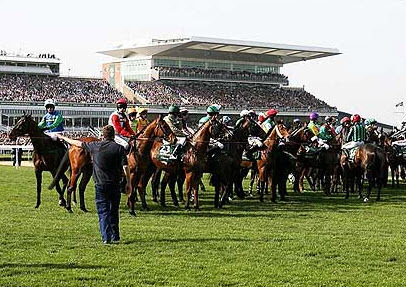 O’Neill’s other victories at the Aintree Festival as a trainer include Quazar in the John Smith’s Anniversary 4Yo Novices’ Hurdle in 2002, Clan Royal in the 2003 John Smith’s Topham Chase, Iris’s Gift (2003) and Black Jack Ketchum (2006) in the Sefton Novices’ Hurdle, Iris’s Gift in the 2004 John Smith’s Liverpool Long Distance Hurdle, Exotic Dancer (2007) in the Betfred Bowl and Albertas Run (2010) in the Melling Chase.